SO MANY amazing books have come out this year that I’ve been psyched about. A Reaper at the Gates by Sabaa Tahir (who signed my book!!!! And I haven’t read it yet cause I’m afraid of what she’s gonna do to my babies). Obsidio by Amie Kristoff and Jay Kaufman (I did read this one and it was so good!). The Burning Maze by Rick Riordan (his Apollo series might be my favorite yet). Furyborn by Claire Legrand (thank you to all my favorite authors on Instagram who wished it a happy book birthday and recommended it because that’s why I picked it up, and now I’m in love). And Hero at the Fall by Alwyn Hamilton (okay, so I only started the series about a month ago after Hero was already released, but as soon as I started the series I was psyched about it. And yes, I’m in the middle of reading Hero right now, and my goodness, I am enjoying it). But there’s also SO MANY books still to come out this year that I’m eagerly awaiting. Here’s my top 6 anticipated books yet to be released in 2018. I’ve read quite a few of John Green’s books, so I was happy to hear that Hank was releasing a book. I listen to their podcast Dear Hank and John where this book is regularly plugged, and it’s been so fun to hear Hank talking about the process of this book getting published and all the steps leading up to its release. 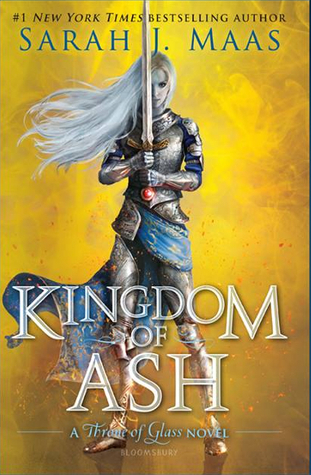 I started reading the Throne of Glass series several years ago, and I’m excited to finally read the conclusion to the series! I’ve enjoyed some of the books in the series more than others (and was pleasantly surprised that I enjoyed Tower of Dawn as much as I did). If there’s one thing that I know about this book it’s gonna give me feels and be a beast to read (718 pages??? That’s even longer than Empire of Storms ended up being!). I don’t remember how I found this series anymore, but I’m glad that I did! This is a fun series with a bit of a dark side. That’s to be expected, though, since the first book was called Stalking Jack the Ripper and the second Hunting Prince Dracula. I enjoy Audrey’s character, so I’m intrigued to see what kind of mystery she’s going to be tangled up in next! 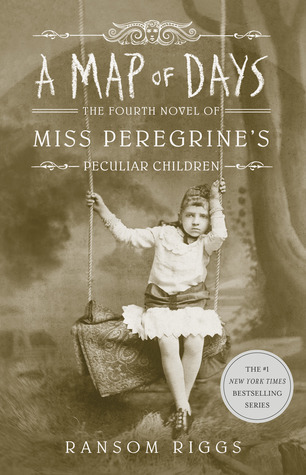 I read the first three books of the Miss Peregrine series while on vacation a couple years ago, and I LOVED them! They’re just the right mix of fun and creepy (some of those vintage photos, guys). I just picked up the first two books of the series at a book sale a couple weeks ago, so I’m already primed for a re-read before this one comes out! I pseudo-buddy-read Strange the Dreamer with my friend Sarah the Supreme Literary Goddess (inside joke) last year. And by pseudo-buddy-read, I mean that we started the book about the same time, and I finished wayyyy later than she did because man did life get crazy. But. I. Loved. It. This book would probably be my most anticipated read of this year…but it just barely got beat out. But I love this world, and I love Lazlo Strange, and I love the storytelling, and I cannot wait to re-read Strange and get ready for Muse! I finally read Renegades earlier this year, and I could barely put it down. I made the mistake of starting it with the intention of reading “just a few chapters” before bed but had to make myself put it down eventually. Thankfully, the next morning was a Saturday, so I woke up, picked up the book, and finished it before I even got out of bed. Renegades was exactly my cup of tea: heroes and villains and anarchy and amazing character development and beautiful writing. 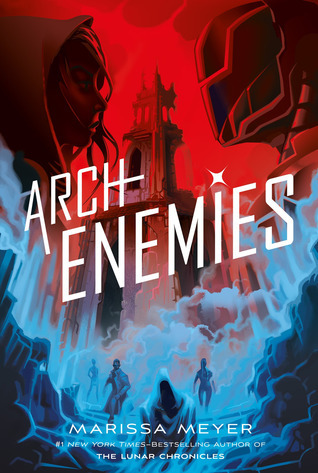 I am so excited to see where this story takes Nova and Adrian, and I’m already blocking out time in my schedule in November for this! Finally made it up to Cleveland for a @monstershockey game!! !